HERNDON, Va., Jan. 12, 2011 -- Northrop Grumman Corporation's (NYSE:NOC) Hunter Unmanned Aircraft System (UAS), in use with the U.S. Army since 1996, recently surpassed 100,000 flight hours in service, more than 72,000 of which were flown in combat. The MQ-5B Hunter, which is currently deployed supporting contingency operations across the globe, provides warfighters with state-of-the-art reconnaissance, surveillance, target acquisition (RSTA), communications relay and weapons delivery. "This is a significant accomplishment," said Chris Jones, vice president and general manager of the Integrated Logistics and Modernization Division for Northrop Grumman's Technical Services sector. "We'll recognize this significant milestone with our nation's warfighters everywhere men and women of Northrop Grumman support them. Hunter will continue to be an extremely adaptable and highly reliable platform for the U.S. Army well into the future." 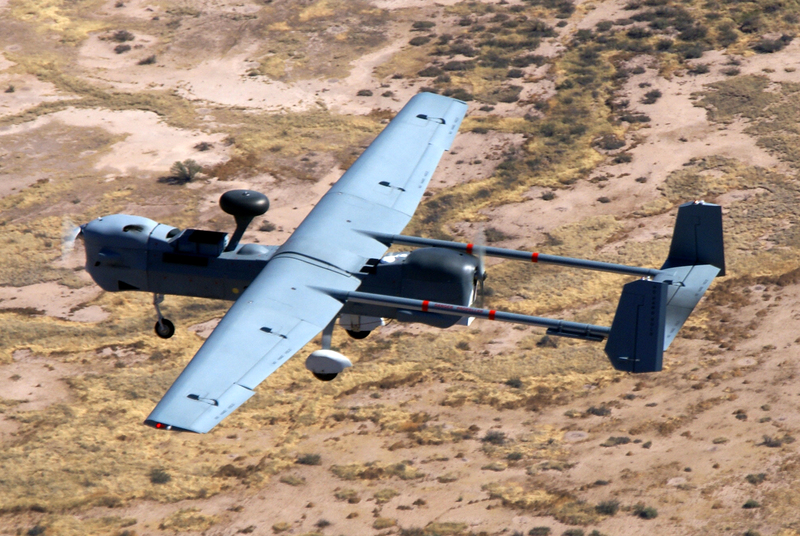 The RQ-5A Hunter was the Army's first fielded UAS. The MQ-5B is the next-generation Hunter, continuing a legacy of service to Army corps, division and brigade warfighters. Flying over the battlefield with its multi-mission optoelectronic payload, the MQ-5B gathers RSTA information in real time and relays it via video link to commanders and soldiers on the ground. The MQ-5B Hunter is distinguished by its heavy fuel engines, its "wet" (fuel-carrying) extended center wing with weapons-capable hard points and a modern avionics suite. The MQ-5B Hunter system uses the Army's One System ground control station and remote video terminal. It also carries a communications relay package to extend the radio range of warfighters. A differential GPS automatic takeoff and landing system is under development for Hunter. "I am extremely proud of our outstanding Hunter team of Northrop Grumman professionals who serve alongside the warfighter in the performance of the critical intelligence, surveillance and reconnaissance mission," said Jim Perry, Northrop Grumman Technical Services' program manager. "This feat reflects the technical expertise, professionalism, hard work and pride of the Northrop Grumman engineers, maintainers and operators on a sustained basis." The MQ-5B features a robust, fixed-wing, twin tail-boom design with redundant control systems powered by two heavy fuel engines â one engine to "push" and another to "pull" the air vehicle. Another Hunter capability is its relay mode that allows one Hunter to be controlled by another UAV at extended ranges or over terrain obstacles typical of those found in the Balkans and Afghanistan. To replace obsolete systems, increase readiness and reduce the logistics burden on soldiers, Northrop Grumman integrated a new suite of avionics for Hunter, including upgraded flight and mission computers, an auxiliary power distribution unit, the LN-251 inertial navigation system with GPS, a downsized data link system and an APX-118 Identification Friend or Foe transponder. The avionics suite improves performance by reducing size, weight and power consumption of the equipment used to control the aircraft and manage its critical subsystems.